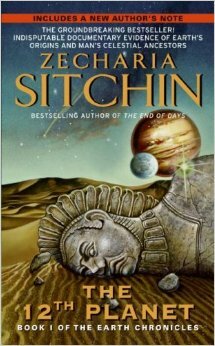 Zecharia Sitchin -  An epic journey of new discovery so fantastic that our natural instinct would be to block it out. 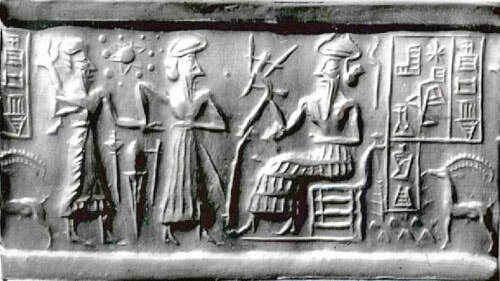 ​written on clay tablets by the Sumerian into English (video). VA 243 strongly different than Sitchin did (link). Zecharia Sitchin is an internationally acclaimed author and researcher whose books offer evidence that we are not alone in our own solar system. One of a handful of scholars able to read the Sumerian cuneiform tablets, he has combined archaeology, ancient texts, and the Bible with the latest scientific discoveries to retell the history and prehistory of mankind and planet Earth. His trailblazing books have been translated into more than twenty languages; his first one, an oft-quoted classic, celebrates the thirtieth anniversary of its publication. A graduate of the University of London and a journalist and editor in Israel for many years. • Has a prehistoric space base on Mars been reactivated? • Was Adam the first test-tube baby? And was Eve the original beneficiary of organ transplant surgery? • Did nuclear weapons destroy Sodom and Gomorrah? • Did computer printouts exist 5,000 years ago? How were the ancients able to accurately describe details about our solar system that are only now being revealed by space probes? Is humankind, in catching up with ancient knowledge, also repeating ancient incidents as that of the Tower of Babel? The awesome answers are all here, fully documented with the latest scientific findings, in this important companion volume to The Earth Chronicles series. Having presented evidence of an additional planet as well as voluminous information about the other planets in our solar system. ​Zecharia Sitchin now shows how the discoveries of modern astrophysics, astronomy, and genetics exactly parallel what has already been revealed in ancient Sumerian, Egyptian, and biblical texts regarding the enigmas of the heavens, Earth, and the creation of life. Genesis Revisited is a mind-boggling revelation sure to overturn current theories about the origins of humankind and the solar system. Modern Technology . . . or Knowledge of the Ancients? Space travel . . . Genetic engineering . . . Computer science . . . Astounding achievements as new as tomorrow. But stunning recent evidence proves that as these ultramodern advances were known to our forfathers millions of yrsterdays ago . . . as early as 3,000 years before the birth of Christ! In this remarkable companion volume to his landmark EARTH CHRONICLES series, author Zecharia Sitchin reexamines the teachings of the ancients in the light of mankind's latest scientific discoveries -- and uncovers breathtaking, never-before-revealed facts that challenge long-held, conventional beliefs about our planet and our species. 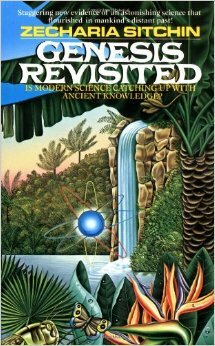 This is probably the best of all Sitchin's work, since it essentially summarises the 5 Earth Chronicles books. The basic hypothesis is the same - Earth was probably visited in the distant past by extraterrestials who genetically engineered Man as a mining slave. ​Sounds whacky yes, but Sitchin's scholarship is unchallenged by most. For those who don't have the patience to read his 6 or 7 other books on the subject, this one will do nicely. Read it with an open mind and remember, what he says at least presents a scientific alternative to blind acceptance that Man was divinely created. And for those who want to pursue more about Man's past, read "Forbidden Archaeology'' by Michael Cremo and Richard Thompson. Your worldview will never be the same again.